There are plenty of people out there that are afraid of the dark. There's generally nothing to worry about it. That bump was nothing. That creek was also nothing. That blood-curdling scream and disembodied children's laughter was also nothing. 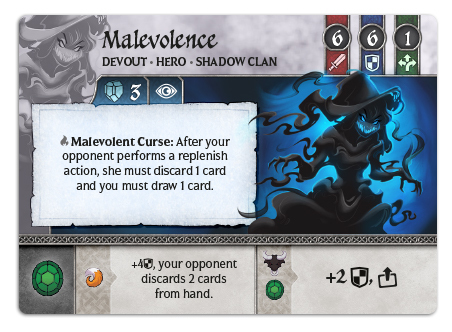 In this preview, we get a look at the Shadow Clan for Crystal Clans. Welcome back, Crystal Clans fans! We hope you're enjoying the previews for these upcoming sets so far! it's been awesome to show off the Shadow and Fang Clan so far. This week, we've not only shown off the second Fang Clan preview here, but also an announcmenet for Light and Fire Clan as well! There's certainly plenty on the horizon for Crystal Clans. 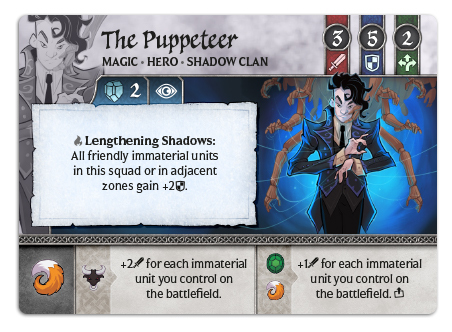 Today we'll be looking at the remaining Shadow Clan units. 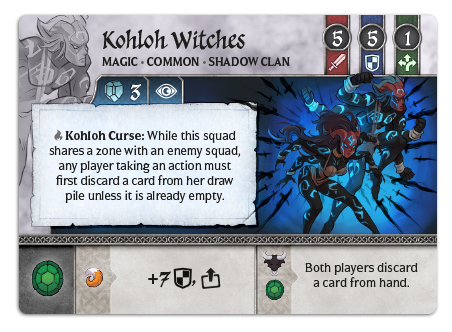 As we’ve already seen, no matter where your opponent tries to hide on the battlefield, the Shadow Clan will find them. 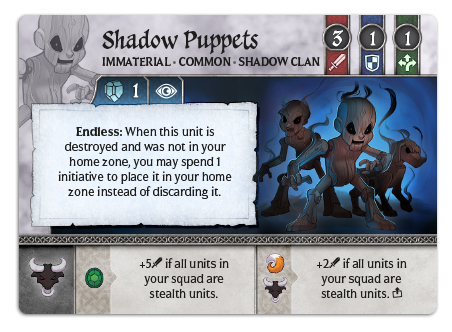 Let's take a look at a few more Shadow Clan units who rely on tricks other than Shadow Step to get the job done.